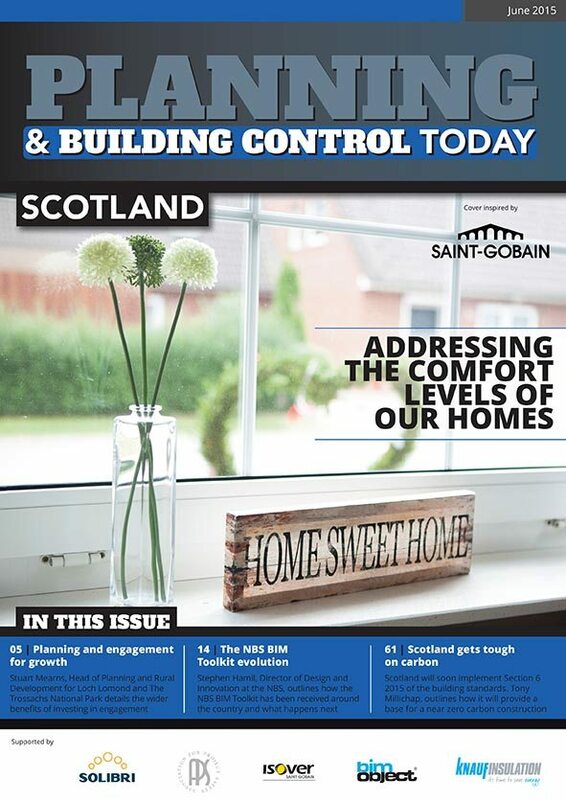 Welcome to the Summer edition of Planning and Building Control Today Scotland. We open this edition with an article highlighting a wonderful example of what true engagement with a planning process can achieve. Stuart Mearns, Head of Planning and Rural Development for Loch Lomond and The Trossachs National Park describes how they invested significantly in engagement with partners, developers and communities as they finalised their new policies, proposals and guidance for future development. The wide-ranging consultation on a new Proposed Local Development Plan known as LIVE Park, has had to balance the conservation interests along with the development needs of businesses, communities and visitors, whilst ensuring they deliver Scottish Planning Policy. We also turn our attention in this edition to the contentious subject of flooding. According to recent figures, one in six homes are now under threat of flooding from rivers, sea and surface water. Dr Stephen Garvin, Director at BRE’s Centre for Resilience discusses their flood resilience policy paper ‘A Future Flood Resilient Built Environment’ which calls on government to adopt a new approach for tackling flooding which is a risk to over 5 million homes in the UK alone. As ever, BIM is never far from the headlines in the construction world, and PBC Today follows the development with several articles to educate and inform. We kick off the BIM section with Stephen Hamil, Director of Design and Innovation at the NBS, who outlines how the NBS BIM Toolkit has been received around the country and what happens next. The Toolkit is a web-based resource, tailor-made to guide users through the construction process. At the heart of the project is a standardised and digitally-enabled classification system coupled with a level-of-definition reference library and digital plan of work tool. The NBS-led team has been working hard to ensure the BIM Toolkit is easy to use and offers step-by-step support to define, manage and verify responsibility for information development and delivery at each stage of the asset lifecycle. Finally, the construction industry in Scotland faces a whole new challenge on the 1st of October this year as the Scottish Government implements Section 6 (energy) 2015 of the Building Standards. The new Technical Handbooks introduce some key changes from the 2011 Standards, including a 21% aggregate reduction in carbon emissions from new domestic properties and a 43% aggregate reduction for new non-domestic. Tony Millichap, Technical Manager at Kingspan Insulation Ltd outlines how the additional carbon reductions for new buildings provide a strong base for a near zero carbon construction in the future.